Google data suggests Brits are already getting in the Christmas spirit, with searches for festive songs spiking sharply since Halloween. The search giant said it had already seen the start of the annual spike in interest for the term “Christmas songs”, and said Jingle Bells topped the list for searches in the United Kingdom. 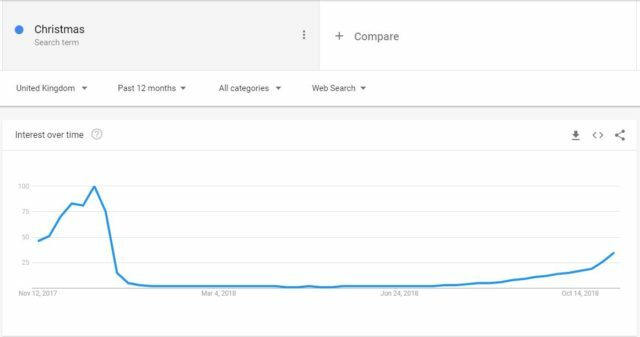 Google said it had seen an increased volume of search traffic for “Christmas” each year since 2004. 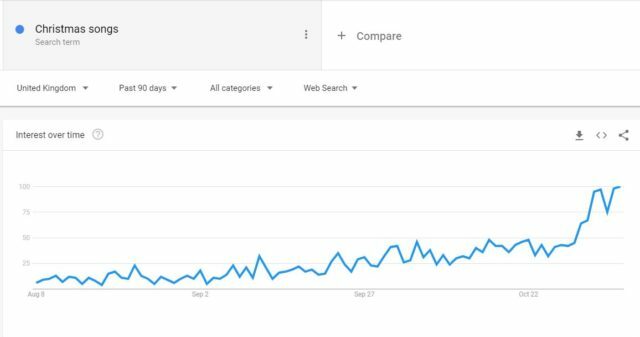 The company said it was difficult to pinpoint a date at which people typically start searching for Christmas songs, but data from its Google Trends dashboard suggests it started to increase slowly from late July this year.